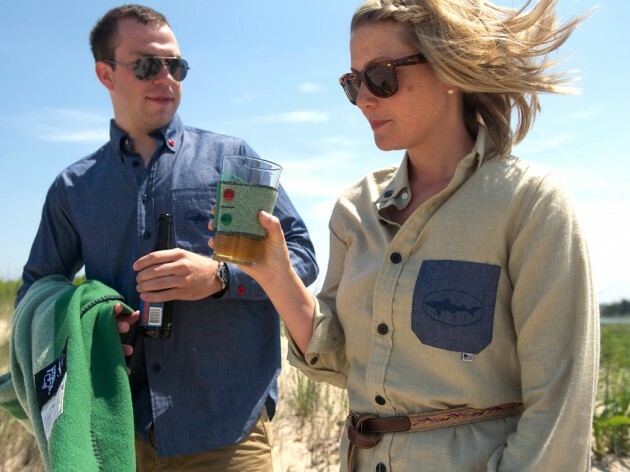 Here’s a collaboration we didn’t see coming… Delaware-based Dogfish Head Brewery has teamed up with outdoor heritage brand Woolrich to do a clothing and beer capsule collection. 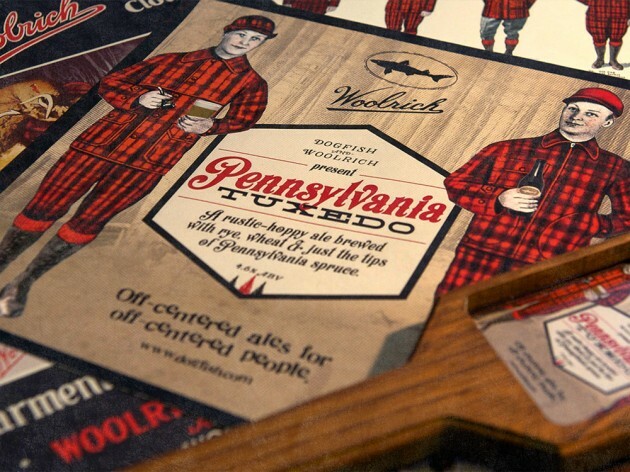 Inspired by the journal of John Rich, founder of Woolrich, Dogfish Head created a craft beer based off Rich’s 1800’s home recipe which is a blend of wheat, rye and tips of Pennsylvania spruce called “The Pennsylvania Tuxedo” after the classic red and black tartan worn by outdoorsmen. Dogfish Head did a stellar job (as they always do) with branding their latest creation and while it may look more like a Fall beer, it nonetheless makes me want to go camping in the wilderness and sip this beer by a fire. The clothing part of the collaboration is perfect Delaware beach-wear for those who have visited the area. 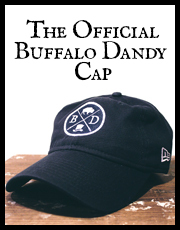 Comprised of a a men’s chambray shirt with nautical themed red and green accent buttons to signify port and starboard, the collection also includes a baseball cap, women’s oxford dress/shirt, coozie and or course, a beach blanket. 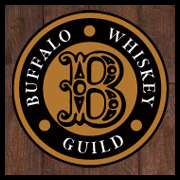 The clothing will be available on Dogfish Head and Woolrich’s websites soon, while the beer will unfortunately only be available in draft form at Dogfish Head’s Analog A-Go-Go Music Festival next week. For more info about what inspired the collection, check out the video below.